HUF 100 mld / bln ? 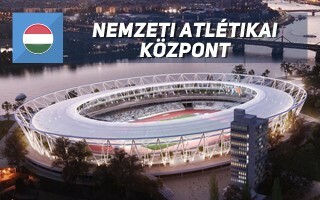 Plans of a new national athletics stadium in Budapest are nothing new. 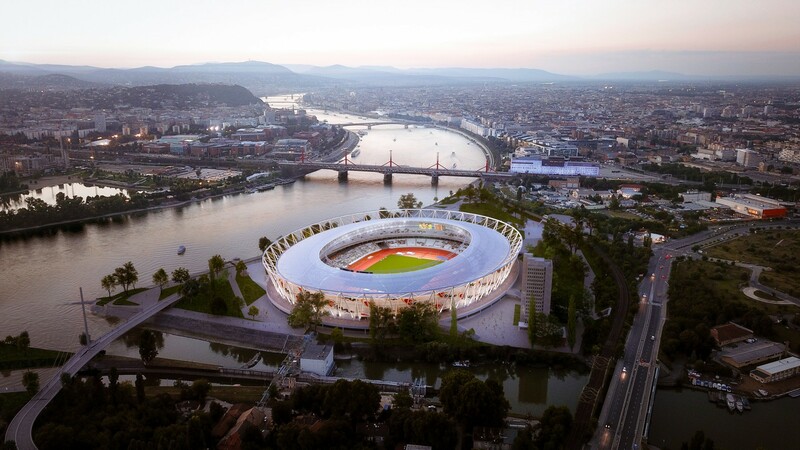 When the Hungarian capital was competing for the 2024 Olympics, a 50,000-seater was proposed along the Jenő Kvassay street in south Budapest, almost at the Danube waterfront. 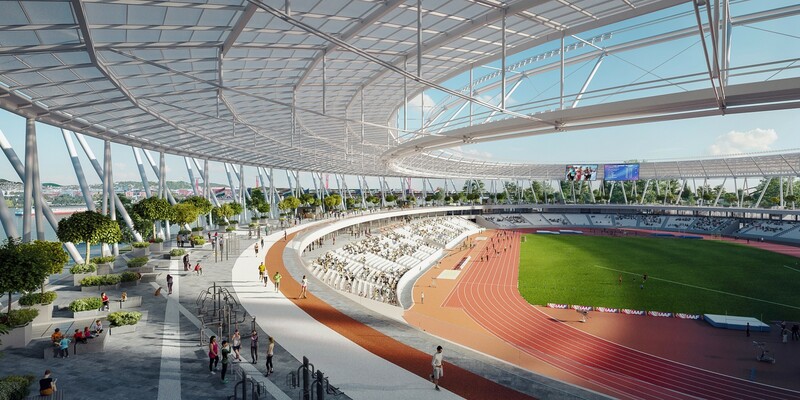 Hungary eventually withdrew their Olympic bid but plans for the stadium weren't entirely scrapped due to another bid: for the 2023 World Championship in Athletics. 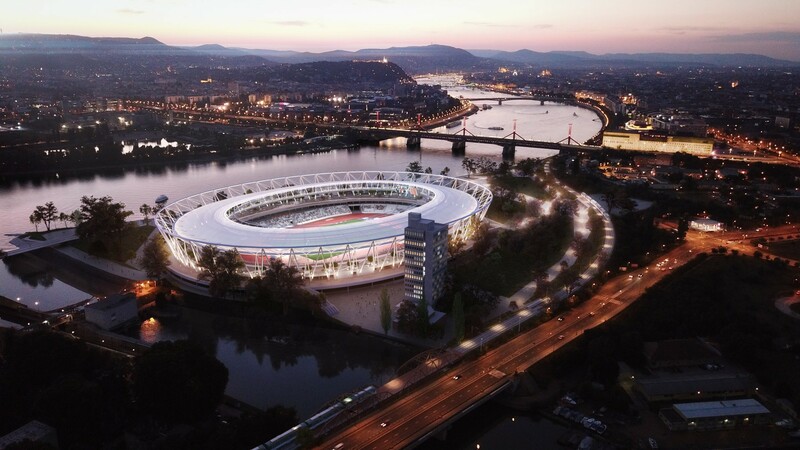 After Budapest withdrew in 2017, there was a competition to propose a new national stadium with a running track on the very same site as proposed for the Olympics. For the the World Championship it was to hold 55,000 people and later be scalable down to 15,000. The vision by Napur Architect won but was later somewhat modified. In its first iteration the stadium was designed to lose its roof after the main event, while in the new one it retains all of it. The spacious canopy covered with polycarbonate or similar translucent material would be built utilising the same, efficient tensile cable technology known from many modern venues. The final auditorium was downsized to 40,000 but still scalable to 15,000. 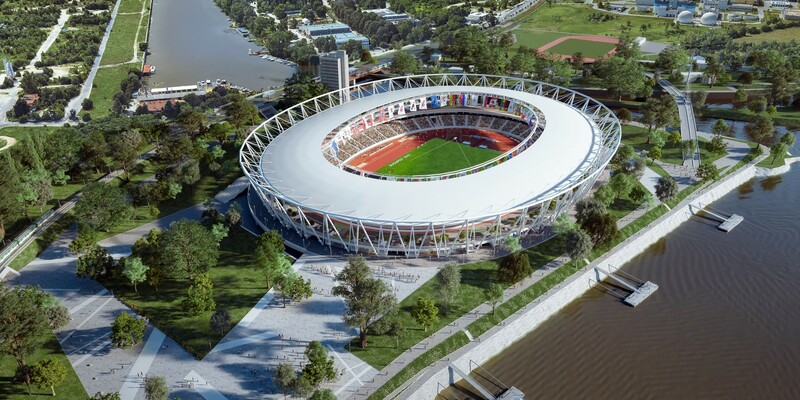 Once the temporary upper tier is removed, the stadium would be left with a circular plateau, expected to be filled with publicly available leisure areas. 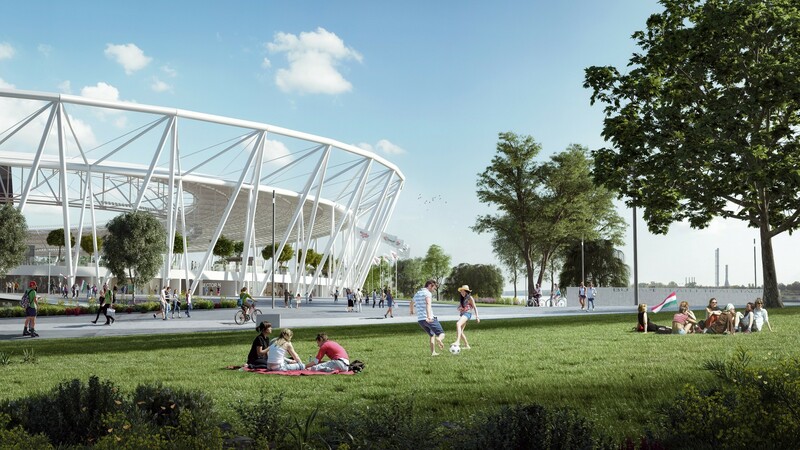 The nation's national football stadium will open within months, in 2019. 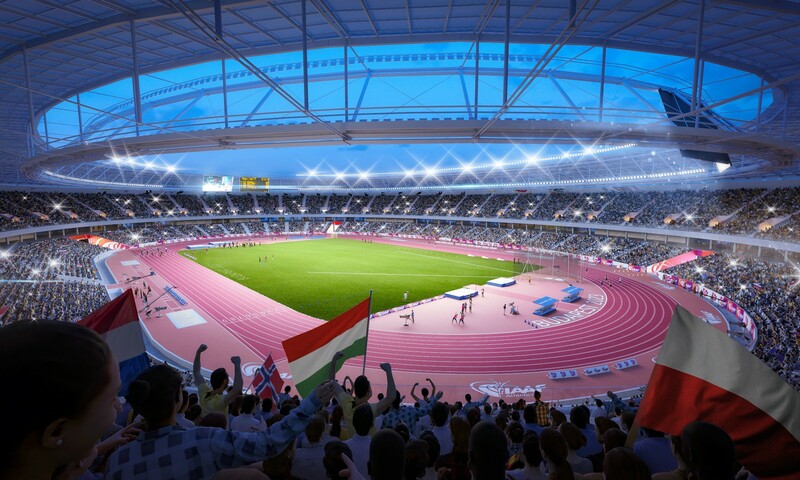 Now it's certain that a second one, for 40,000 people, has to be built as Hungary will host the 2023 World Championship in Athletics.